The debate will be conducted in English. Free admittance, but seating is subject to availability. The event will not be streamed outside the University Aula. At this year's Holberg Debate, John Pilger, Julian Assange og Jonathan Heawood will discuss the presence of propaganda in news and social media, and its democratic implications. Is there an escalating war of information that is threatening our democracy and our ability to make informed decisions? Call it propaganda, fake news, bias or distorted facts—manipulation of information may have vast implications for people trying to make sense of the world. While politicians and media actors accuse each other of undermining the truth and stirring up the public’s emotions with questionable assertions, it is often unclear whose interests lie behind the narratives and whether or not the news are truthful descriptions. Add to this the chaotic world of social media and online news outlets, where it is hard to know whom to trust, particularly when we know that both state actors and private interests are working continuously to promote narratives that work to their own advantage. • Can voters be expected to make informed decisions in the presence of propaganda? • Are the established media hypocritical when they define themselves as the guardians against “fake news”? And who are the most powerful actors in what may be seen as a global theatre of information warfare? • How much should we trust the media in issues of war, peace, power and politics? Were there for instance dark, foreign forces behind the surging French ‘populists’ and the British Brexit campaign? Was the regime change in Ukraine a popular revolution or a US supported coup? And was the US election hacked and stolen by Russian spies? • Are the bombs that have fallen over countries such as Syria, Iraq, Afghanistan, Libya, Yemen and Pakistan part of great humanitarian projects, or are there ulterior motives that the media either wilfully obscure or are manipulated into distorting? • Is the future of humanity under threat from propaganda controlled by artificial intelligence? The event is a collaboration between the Holberg Prize, the Fritt Ord Foundation and Norwegian PEN (Western Norway). We are also grateful to the Bergesen Foundation and the University of Bergen, whose support helped make this event possible. Julian Assange joins the panel via videolink. 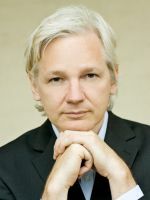 Assange is an award-winning journalist and the founder and editor-in-chief of WikiLeaks. He is also a programmer, cryptographer, author and activist. Founded in 2006, WikiLeaks has published millions of leaked documents and several videos. This includes logs that relate to the wars in Iraq and Afghanistan, the controversial “Collateral Murder” video from Iraq, U.S. diplomatic cables, and election campaign related e-mails from the Democratic National Committee and from Hillary Clinton's campaign manager, John Podesta. The debate will be moderated by Professor Ellen Mortensen, University of Bergen. Ole Sandmo from the Holberg Prize Secretariat will interview Julian Assange during part of his appearance. In addition to keynotes from the panellists, there will be Q&A sessions where members of the audience will be welcome to ask questions. Opening remarks by Sigmund Grønmo, Chair of the Holberg Board. Introduction of the speakers by Ellen Mortensen, Academic Director, The Holberg Prize. 3:15 p.m. Speech by Julian Assange. 3:35 p.m. Julian Assange is interviewed by Ole Sandmo of the Holberg Prize Secreariat. 3:50 p.m. Q & A with audience and panellists. Moderated by Ellen Mortensen. 4:15 p.m. 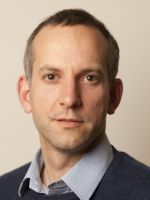 Speech by Jonathan Heawood. 4:35 p.m. 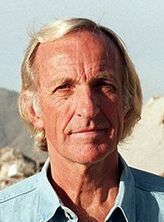 Speech by John Pilger. 4:55 p.m. Q & A with panellists and audience. Moderated by Ellen Mortensen. The Holberg Debate 2017 is a collaboration between the Holberg Prize, the Fritt Ord Foundation and Norwegian PEN (Western Norway). We are also grateful to the Bergesen Foundation and the University of Bergen, whose support helped make this event possible.